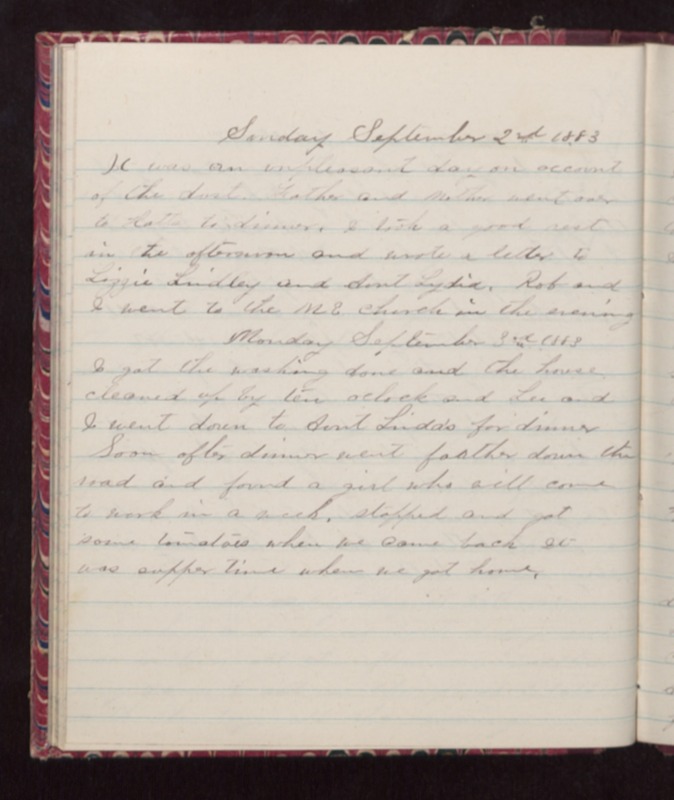 Saturday September 2nd 1883 It was an unpleasant day on account of the dust. Father and Mother went over to Hatts for dinner. I took a good rest in the afternoon and wrote a letter to Lizzie Lindley and Aunt Lydia. Rob and I went to the ME Church in the evening. Monday September 3rd 1883 I got the washing done and the house cleaned up by ten oclock and Lee and I went down to Aunt Linda's for dinner Soon after dinner went farther down the road and found a girl who will come to work in a week, stopped and got some tomatoes when we came back. It was supper time when we got home.